We all drink over the Christmas season. But for those of us who drink regularly anyway, is drinking at Christmas time any different than the usual? 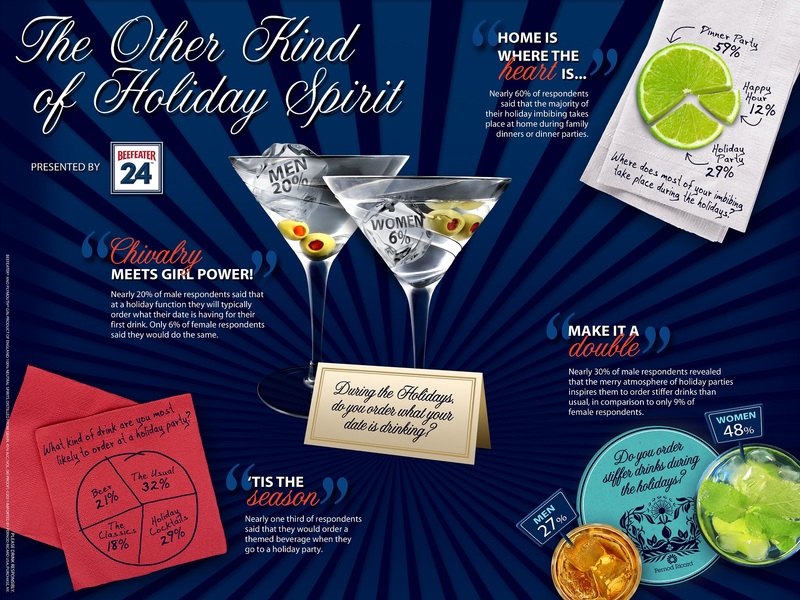 Fortunately, an English gin company has done a survey and put together an infographic about how people drink during the holidays. If Christmas doesn’t bring us all together, then alcohol will.